Is the American Heart Association wrong about their recommendations to avoid foods high in cholesterol they're the cause of heart disease and use polyunsaturated fats? The consumption of excess polyunsaturated fatty acids from vegetable oils is one of the underliers of the current epidemic of heart disease. Is the American Heart Association wrong about their recommendation to avoid foods high in cholesterol and to replace saturated fats, like those found in animal foods, with polyunsaturated fats, like those found in vegetable oils? A growing number of experts think so, including a 98-year-old researcher from the University of Illinois who argues that the main cause of heart disease is not dietary cholesterol but rather oxidized cholesterol and fats—especially from too many polyunsaturated vegetable oils and fried foods. Dr. Fred Kummerow, an emeritus professor of comparative biosciences, recently published a paper in the American Journal of Cardiovascular Disease reviewing his life’s work of 60 years on the dietary factors—especially oxidized cholesterol that contribute to heart disease. In Dr. Kummerow’s view and the view of an increasing number of experts, the primary cause of heart disease is oxidized cholesterol and fats. When fats degrade, free radicals “steal” electrons and a free radical chain reaction mechanism ensues, leading to cell damage. Kummerow cites research from his own lab as well as other researchers’ findings on lipid metabolism and heart disease which reveal the underlying mechanisms linking oxidized cholesterol and fats (and trans fats) to heart disease. The three factors above, he asserts, along with the consumption of trans fatty acids from partially hydrogenated vegetable oil, are the dietary and lifestyle factors that most lead to atherosclerosis. Atherosclerosis is the process by which the arteries become hardened and build up with plaques leading to heart attacks and sudden death. Over the years, Kummerow and his collaborators found two distinct ways in which oxidized cholesterol and fats lead to atherosclerosis: they enhance calcification of the arteries and promote the synthesis of a compound that increases blood clotting. “Oxidized lipids contribute to heart disease both by increasing deposition of calcium on the arterial wall, a major hallmark of atherosclerosis, and by interrupting blood flow, a major contributor to heart attack and sudden death,” writes Kummerow in his review. One of Kummerow’s main contributions to the growing body of research on oxidized cholesterol has to do with a compound called sphingomyelin. 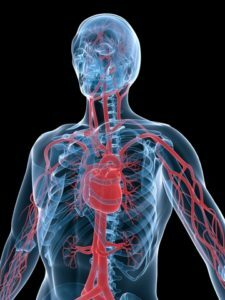 Kummerow found that people with heart disease have higher levels sphingomyelin in the walls of their arteries, especially at the branch points of the arteries that supply blood to the heart, which is where the most blockages occur. They also have significantly more oxidized cholesterol in their blood and tissues than people without heart disease. The researchers found that the more oxidized cholesterol in the blood, the more sphingomyelin in the walls of the arteries. And the more sphingomyelin, the more arteries become calcified. While other studies have also demonstrated a link between higher sphingomyelin levels and the calcification of coronary arteries, Kummerow’s team discovered the mechanism by which this occurred. They noted that lipids like sphingomyelin develop a negative charge in the presence of certain salts, explaining the attraction of positively charged calcium to the arterial wall when high amounts of sphingomyelin are present. And don’t miss our blog on how vitamin c lowers the risk of heart disease here. Am J Cardiovasc Dis. 2013;3(1):17-26.
antioxidants, atherosclerosis, calcium, cardiovascular, cardiovascular disease, cause of heart disease, cholesterol, cholesterol and heart disease, cholesterol control, cholesterol levels, coronary, coronary arteries, coronary heart disease, diet, fred kummerow, free radicals, healthy cholesterol levels, heart attack, heart attacks, heart disease, main causes of heart disease, metabolism, natural cholesterol, natural cholesterol control, oxidized, oxidized cholesterol, oxidized lipids, risk of heart disease, smoking, vegetable oil, vegetables, vitamin, vitamin c, without drugs. Hard to get information like this! Everyone just wants to sell drugs. Yes – so what do we eat and NOT eat?? what a confusing article. I thought the polys were “healthy oils” too. Please clarify this. Eat as fresh as you can, Healthy Consumer. This means, cook more and buy processed, ready foods less. No fast foods, less restaurant foods, no packaged, frozen, boxed foods. They are all full of hydrogenated oils and trans fats to preserve it. Use unrefined virgin olive oil, avocado oil, coconut oil – those are all good for eating as is and cooking, in moderation of course. No fats are good in large qualities – they are highly caloric, after all. So, for example, instead of buying oatmeal cookies – make your own from scratch; instead of store-bought hummus – blend your own, from recipes available online. The more you participate in your own food preparation, the healthier you will be. It will not cost more, but it will take more time. But again, your health is priceless. So that time spent investing into your own health is worth everything. Eat lean meat (baked/boiled, not fried or microwaved) not more that twice a week (that means two meals a week), let the rest of your food be fresh vegetables, fruits, beans, legumes, grains. All these foods will act as antioxidants to help reduce oxidation and inflammation processes in your body caused by processed foods. Become vegan if you can. If not, then follow my recommendations above. I hope it helped. Becoming a vegan , dont think that is the answer but a choice that comes with its own issues . How about if nature makes it then eat it if man messes with scrap it . That includes fish farms , corporate cattle farming, and gmo or chemical farming . This is confusing. All those meat eaters thinks that arachidonic acid and cholesterol is good and also exessive saturated fats are good and ALA and LA is bad. So it is not possible that when excessive heat is used that the cholesterol gets oxidised?Am I too stupid to understand that eating nuts and fish is bad that I have to eat a cowboy breakfast with more than a pound of steak with a lot of fried eggs is healthy? This makes sense as I tried to lower my cholesterol once by cutting out all fats,meat,eggs, butter sugar cake ect. Effect on cholesterol minimal. Frustrated I change to a Diet called dinning out which was low carb and rich in natural fats sugar was the enemy and can process food was and still is. Cholesterol dropped lots and so too did weight. What is concerning is that test are not made available to check level of oxidation on LDL. Is that correct? obviously veggie oils — polyunsaturated fats — corn oil, soybean, cannola, peanut, safflower, etc. promote oxidized LDL (oxLDL). And much fried food is only bad because it’s fried in corn or soybean, etc. oil. BUT the science i like indicts fruits and veggies, too, as causing oxLDL and LP(a). This link details 37 healthy women, all being put on a low-fat “healthy” diet but half the women were on low veggies…. and the other half were on high fruits and veggies. BOTH GROUPS saw increases in oxidized LDL and LP(a), the dangerous cholesterols that clog arteries. 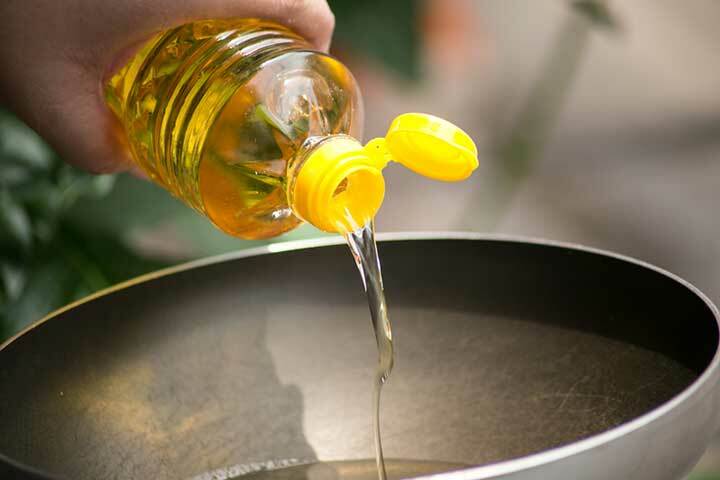 Ditch all vegetable oils to reduce risk of heart disease. There is a strong correlation between vegetable oil usage in US and cancer going back as far as 1920s. Add to that the catastrophic and wrong diet heart hypothesis which blamed everything on saturated fat and advised a high carb low fat diet resulting in exponential increase inT2 diabetes and an epidemic of obesity. Saturated fats are the solution.